A great resource for people against the wind farm blight. Well done STT. We’ve clocked over 640,000 views and given our loyal readers 827 posts – which spell out – in clear and simple terms – the economic and environmental nonsense that is wind power – and the harm caused to communities around the world by giant fans. And, we keep picking up dedicated followers – 10,000 so far, from all corners of the globe, including a bunch of canny Scots, Canadians, Americans, English, Welsh, Irish, Cornish, Danes, Germans, Greeks and plenty from Downunder. Greenpeace activists’ ‘Nazca Archeologist’ turn s out to be… a Greenpeace activist. Roger Helmer MEP points out some of the fallacies in the ‘precautionary principle’ as applied to ‘climate change’. It’s the holiday season. So a web-site called “Science2.0” has come up with a helpful list of twelve ways to respond to those infuriating climate change deniers that you’re likely to meet in the bar while on holiday. Not the top holiday problem on everyone’s list, but I guess they’re trying to help. Even though I’ve yet to meet anyone who denies that the climate changes. Whole lotta ‘estimating’ going on. And it has increased dramatically. Why? Infilling from non-rural stations into rural raises the ‘adjusted’ temperature according to Steve Goddard. Hardly a day goes by without expert comments like this appearing in comment sections, like this one from yesterday. 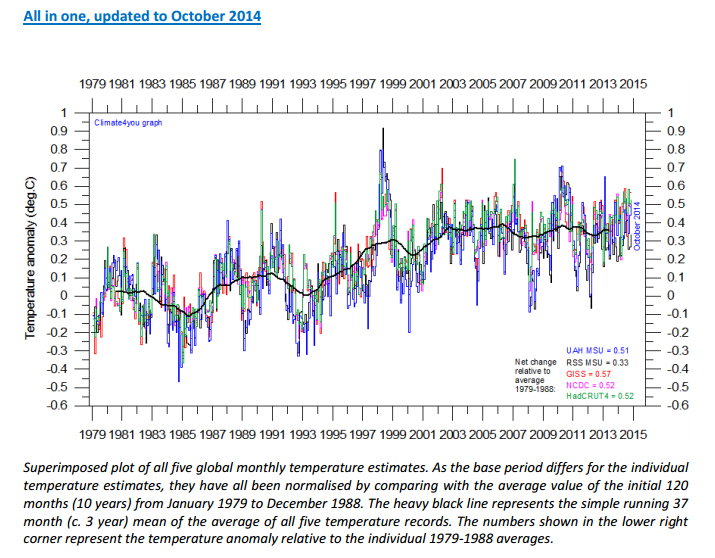 All reported warming in the US over the past 25 years is due to infilling fabricated data. USHCN has 1,218 stations in their database. Prior to 1990, they typically recorded temperatures at about 97% of these stations. But for some reason, USHCN has been reporting monthly temperatures at a smaller and smaller percentage of stations since 1990, and now about 30% of monthly temperatures are completely missing. What NCDC does in those cases, is to fabricate temperatures for the missing stations. The graph below shows the percentage of stations which have fabricated data, which is increasing in a hockey stick. This Atlantipedia report (reproduced below) from 2010 concerns research by English-born George Dodwell, who held the post of Government Astronomer for South Australia for 43 years (1909 – 1952) until his retirement. 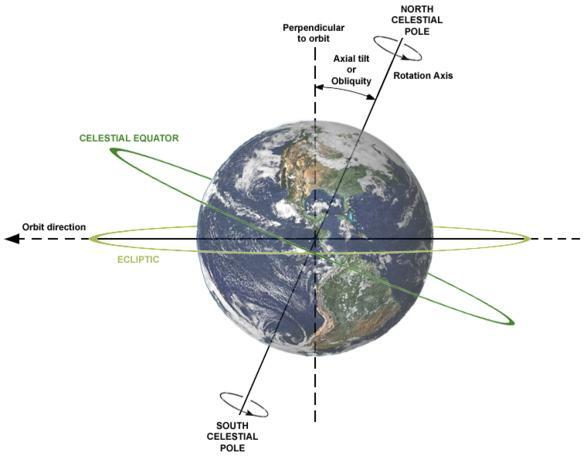 He came across a study by a Professor Drayson who cited ancient astronomical observations and put forward a revision to standard Earth precession theory which Dodwell found ‘untenable’, but he became interested in the data. Third in a trilogy of guest posts from Ed Hoskins. This one looks at how much temperature would be reduced if we committed economic suicide. Ed Hoskins MAarch (Cantab) BDS (Lond). The table below shows the likely range of warming arising from these divergent (sceptical and IPCC) views, (without feedbacks, which are questionably either negative or positive: but probably not massively positive as assumed by CAGW alarmists), that would be averted with an increase of CO2 for the full increase from 400 ppmv up to 1000 ppmv. The results above for countries and country groups show a range for whichever scenario of only a matter of a few thousandths to a few hundredths of a degree Centigrade. One thing that I would point out is that it’s very important for people to be skeptical and anticipate that people will be misleading to the public. Some of the misinformation that’s out there is not accidental. I think there’s quite a bit that’s put into the public discourse in order to have a political effect. It’s supposed to be wrong, but effective. I think we need to illustrate this important point with some examples. So instead of this years climate quiz, we’ll have a barnstormer of quotes about climate that have been “put into the public discourse in order to have a political effect.” – Add your favourites, with links if possible, below. 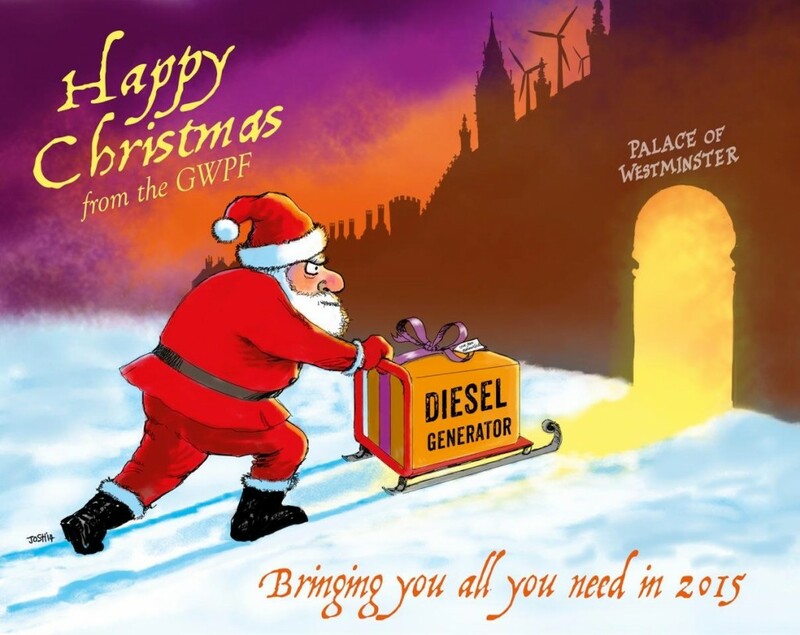 The Global Warming Policy Foundation sends seasons, greetings. Here’s another guest post from Ed Hoskins. 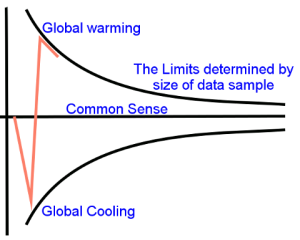 This one deals with the IPCC’s own figures fro the effect of CO2 on global tamperature, demonstrating that due to the logarithmic limitation as this trace gas increases, future warming will be limited to within beneficial limits. 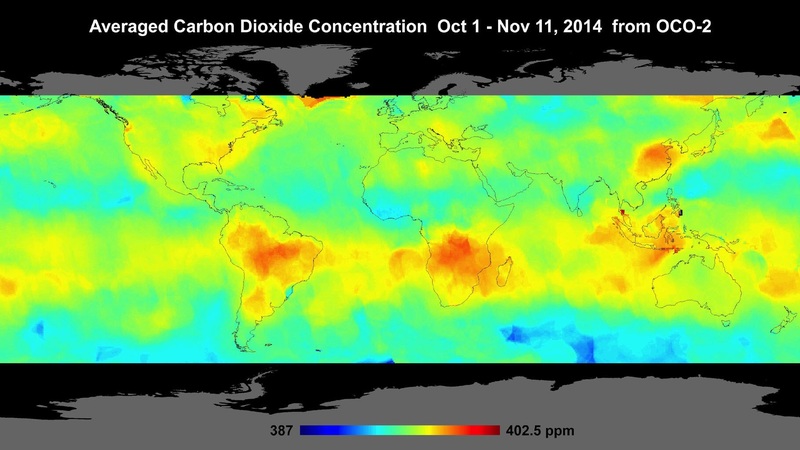 The temperature increasing capacity of atmospheric CO2 is theoretically plausible, but its influence is known and widely accepted to diminish as its concentration increases. It diminishes logarithmically with increasing concentration. Global Warming advocates and Climate Change sceptics both agree on this. IPCC Published reports, (TAR), acknowledge that the effective temperature increase caused by growing concentrations of CO2 in the atmosphere radically diminishes with increasing concentrations. This information has been presented in the IPCC reports. It is well disguised for any lay reader, (Chapter 6. Radiative Forcing of Climate Change: section 6.3.4 Total Well-Mixed Greenhouse Gas Forcing Estimate) [i]. Paul Homewood points up more holes in government thinking on energy. New DEFRA Secretary, Liz Truss, was given a bit of a mauling by Andrew Neil last week, but what drew my attention was her constant reference to expansion of nuclear power. So, let’s see how that might work out. Current capacity looks like this. With peak demand running close to 60GW, consumption likely to rise during the next decade, and the need for a sensible reserve, we would certainly need at least 90GW of capacity by 2030. Wind and solar cannot be included in any calculations of capacity, as they are intermittent, while all but 1GW of current nuclear at Sizewell B is due for closure well before 2030. Ole Humlum, one of the PRP contributors, has emailed me the climate4you November roundup of global temperature records and other climate metrics from the various providers. Clear analysis with informed commentary, the full document is available here. At first sight this Brazilan paper in Astronomy & Astrophysics is relatively uninteresting if you are familar with sunspot activity, appears to be another general look using waveletts. Extract from paper Fig. 5, my highlight of strong X activity post the cycle 23 sunspot peak. An aeronautics expert writes sense about science. At the edge of design and testing in this field, the only thing between you and the field is thin, sharp-cold air. Welcome post from people who know about polar bears. 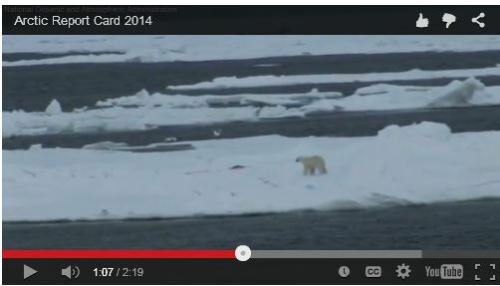 NOAA’s list of purported evidence for harm being caused to polar bears by Arctic warmingis short and weak. It puts the gloomiest spin possible on the current well-being of an animal with all the earmarks of a healthy, well-distributed species. Nice analysis of UK temperature records punctures MET-O’s ‘increasing extreme weather’ meme touted by their ennobled mouthpiece, Dame Julia of the Marshes.